The Moth Radio Hour features true stories told live on stage without scripts, notes, props, or accompaniment. Each Moth Radio Hour mixes humorous, heartbreaking, and poignant tales that captivate audiences with their honesty and bravery. 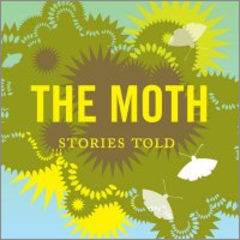 PRX is thrilled to announce the debut of five pilot episodes of The Moth Radio Hour, available for broadcast beginning August 1, 2009. Additional information, including the history of The Moth and broadcast rights.